BELL HOTEL - SWINDON, THIS IS SWINDON. BELL HOTEL, HIGH STREET, OLD SWINDON. 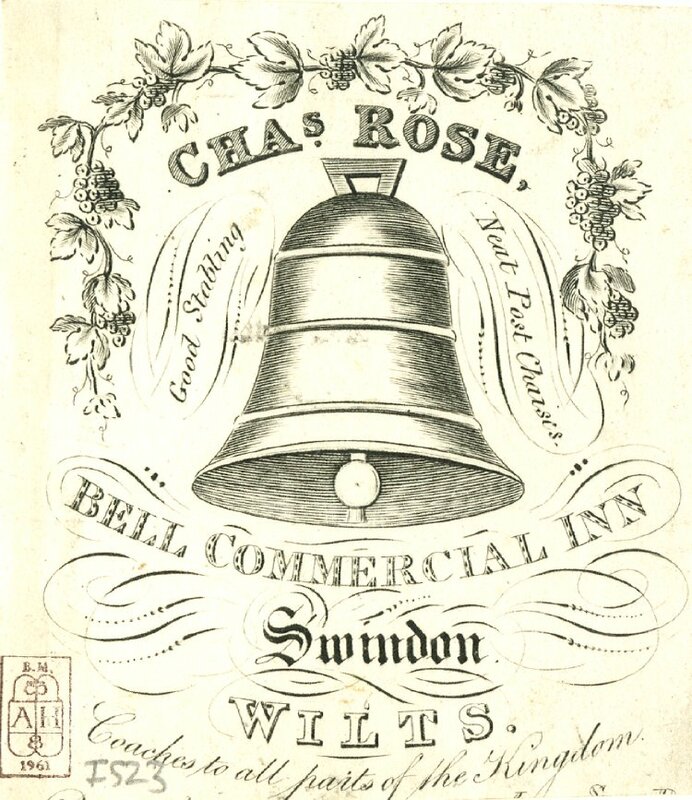 There has apparently been an inn on the site of the Bell Hotel which stands on the west side of the High Street in Old Town Swindon since 1515, a claim which is shown above the doorway to the current building which dates from the mid 19th century. I have not yet been able to pin down firmly the T. Elliott whose name is given on the flask but a very strong contender is Thomas Elliott who appears in the census of 1881. Shown living at 4 Lansdown Road in Old Town Swindon is Thomas Elliott who gives his age as 38 (born c1843) and place of birth as Glamorganshire. His marital status is shown as a widower and his occupation is listed as a retired publican. He has living with him five children, Samuel born about 1872, Lizzie born about 1873, Nelly born about 1874, George born about 1876 and Edith born 1877. The first four children’s place of birth is given as Middlesex London and the last, Edith, as Swindon. Also living in the same household is a 19 year old niece, Lizzie Marchly and housekeeper Mary A. Howell. Thomas Elliott had married Susannah Miles on the 8th June 1871 at the parish church of St. George, Hanover Square, London (Middlesex). Both gave their age as ‘of full age’ and their residence as Charles Street. Thomas gave his profession as a butler and his father as William Elliott, a carpenter. Susannah, a spinster. gave her father as John Miles, a wheelwright. Susannah Elliott died in Swindon in 1880. Although yet to be confirmed I surmise that Thomas Elliott and his family moved to Swindon at some time after the birth of son George Elliott in Middlesex in about 1876 and the birth of Edith Elliott in Swindon in 1877. 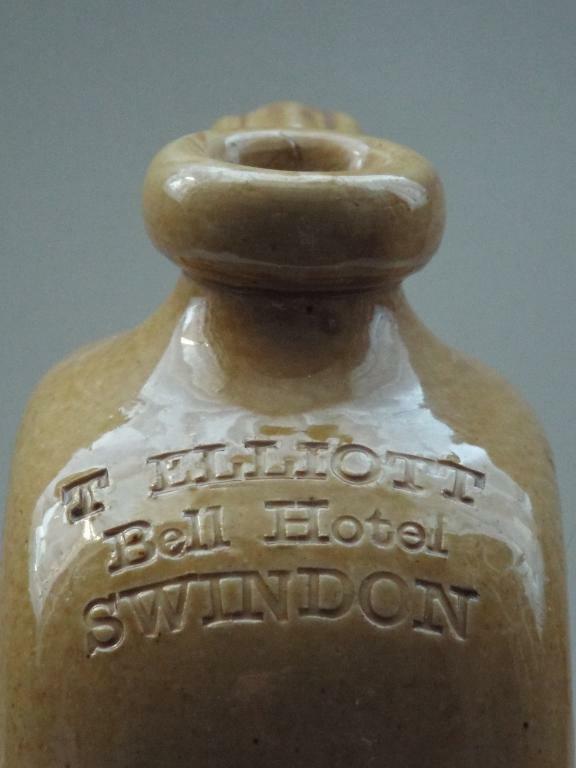 He has become the licensee of the Bell Hotel in Old Town Swindon but after the death of his wife in 1880 has left the business. He then continued to live in Swindon until at least the time of the census in the spring of 1881. If this assumption is correct then the flask would date to the period of approximately 1877-1881. 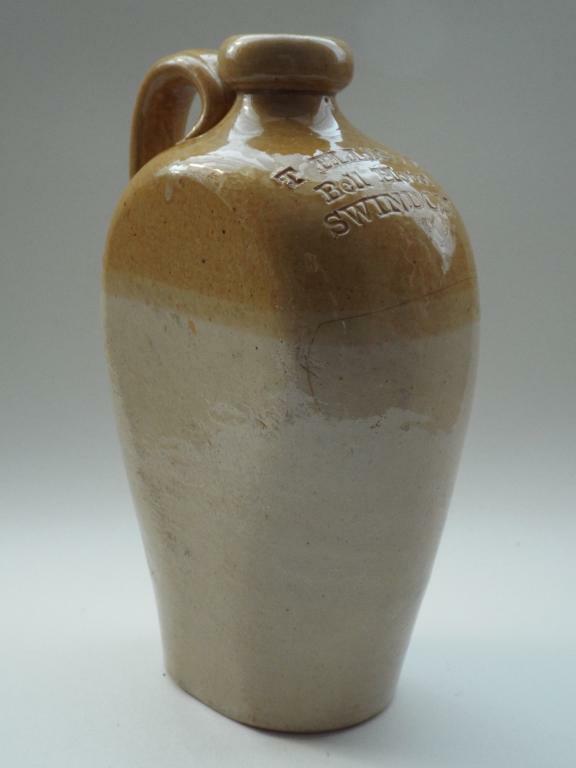 Flat sided handled flask standing 7.5” tall. Image courtesy of Colin Savage.